Well, this was a surprise! 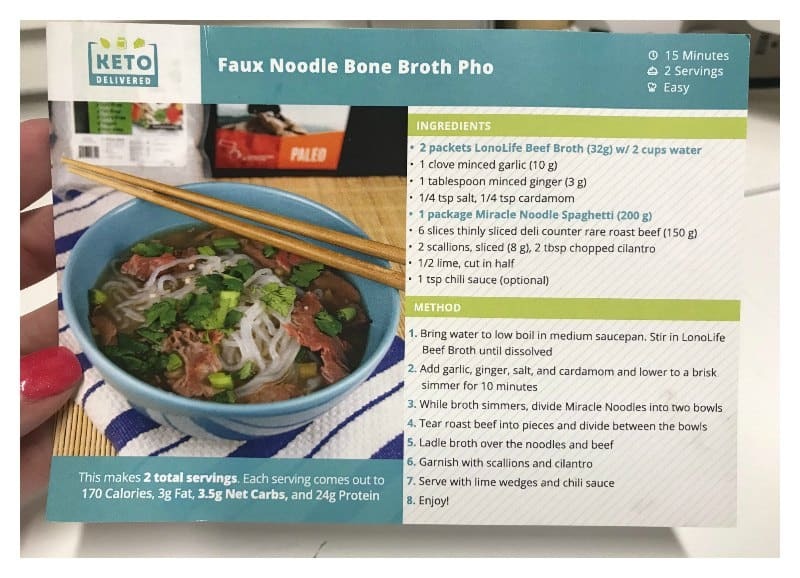 I opened my Keto Delivered Monthly subscription box and got a delicious Keto Pho Recipe with some of the main ingredients included! 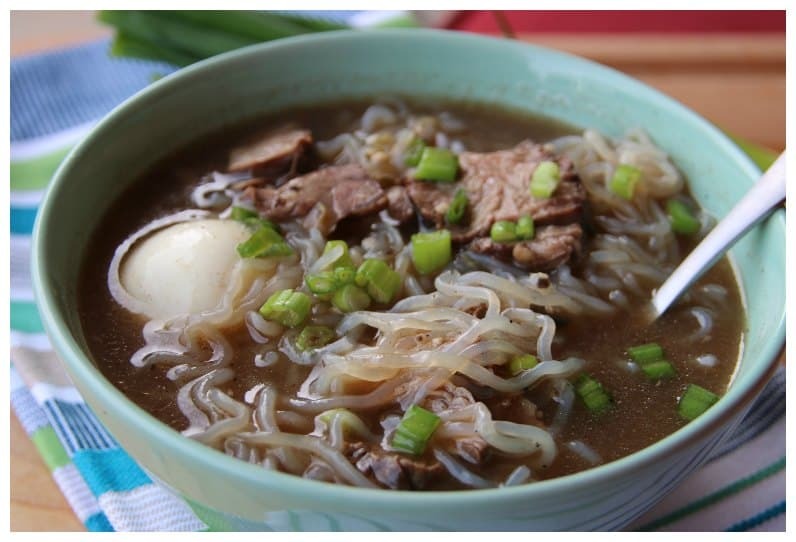 I made this Keto Pho Recipe almost the minute I saw the recipe. I’ve always wondered about miracle noodles. I’ve heard people rave about them but I’m pretty picky. I wasn’t sure if it was something I would like so I just never took the time to order it. 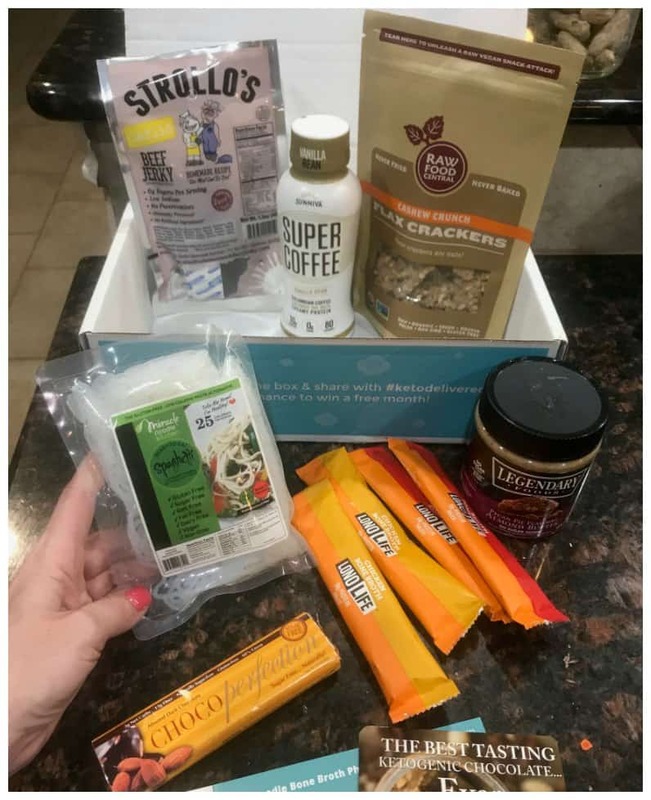 This is exactly why I love getting this monthly Keto Delivered box. I can try new Keto friendly products to see which ones I like and which ones I don’t before committing to a big purchase. If I had to rate my experience in a percentage I would say that I like about 75% or more of the products I receive. It’s been good! It’s a bit pricey but I find it enjoyable to try new foods while doing the Keto diet. It’s loaded with information on how to start and why it works. I plan to eat this way for life! It’s been a really good experience for me and my family! Add garlic, ginger, salt, and cardamom and lower the temperature to a brisk simmer for about 10 minutes. Add precooked protein just before serving it but keep it in the liquid long enough for it to heat up. Remove the noodles from the package and rinse thoroughly. (The recipe card doesn’t say to do this but speaking with everyone who has used these noodles, this was best). I then added the noodles to the liquid mixture just before serving it because these noodles tend to soak up and take on the flavor of any seasonings that are combined with them. I added a soft boiled egg to my Keto pho! Ladle pho mixture into 2 separate bowls. Serve with lime wedges and chili sauce. This recipe makes a total of 2 servings. Each serving comes out to 170 calories, 3 g fat, 3.5 net carbs and 24 g protein. Add garlic, ginger, salt and cardamom and lower the temperature to a brisk simmer for about 10 minutes. Remove the noodles from the package and rinse thoroughly. (The recipe card doesn't say to do this but speaking with everyone who has used these noodles, this was best). I then added the noodles to the liquid mixture just before serving it because these noodles tend to soak up and take on the flavor of any seasonings that are combined with them. This meal was FANTASTIC! 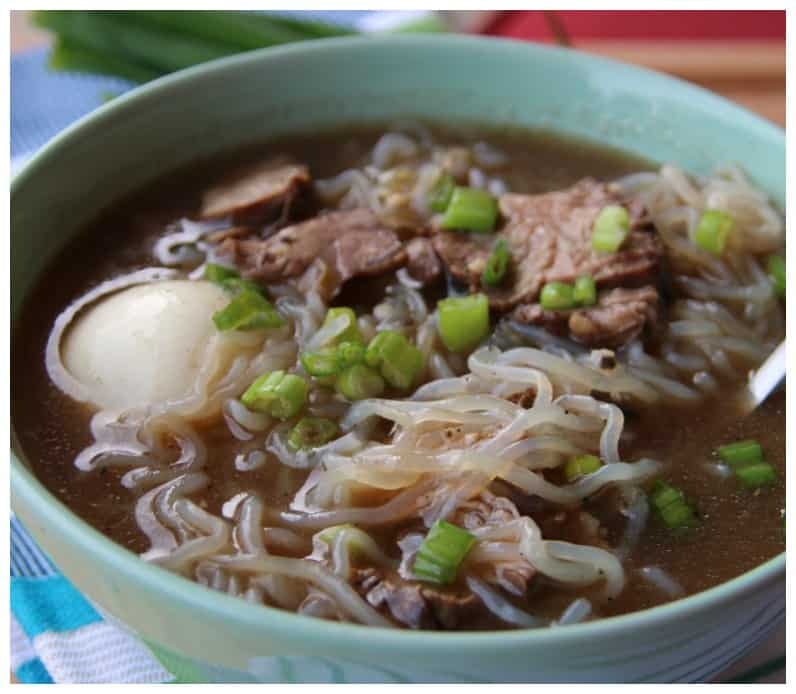 I served this as a lunch option for me and my youngest daughter who loves pho! She was impressed as was I! I will definitely be buying the miracle noodles again! What a treat! It really does have the texture of noodles. 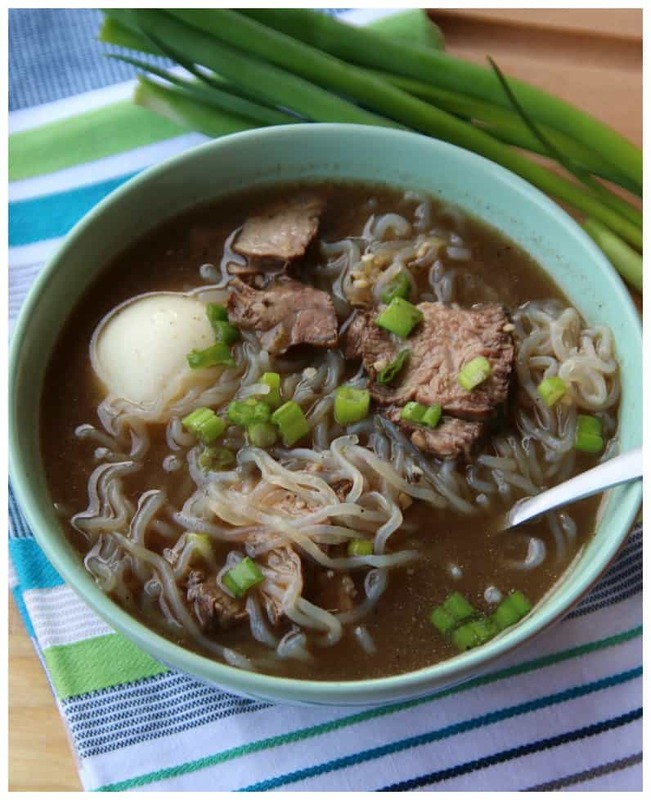 Don’t forget to pin this Keto Pho Recipe on Pinterest for later! By Jennifer on March 7, 2018 Keto Dinner Recipes, Keto Friendly Recipes, Keto Lunch Recipes, Low Carb Recipes, Main Dishes, Recipes, Soups, Weight Watchers. I get everyone gets mad when you don’t make the recipe exactly and then comment, but since three groceries didn’t have chili sauce, I had to improvise. First, this dish needed heat. So I added 1 pinch crushed red pepper. Since this dish without the chili sauce didn’t taste Asian to me. I added 2 tsp. Hoisin sauce. I tasted everything as I went and where this dish went wrong for me was the cilantro and the lime. I did this at the table and it was a weird Asian/Mexican fusion. But what I do appreciate about this dish is the base flavor. It just didn’t need the garnish besides the scallions.